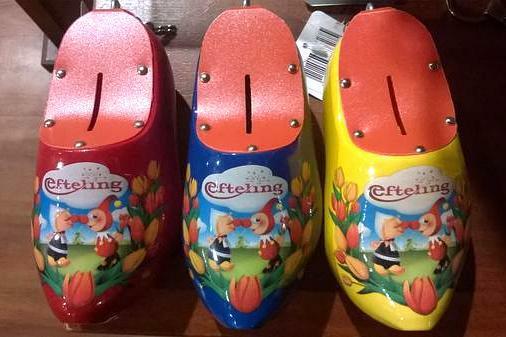 About five years ago Efteling park shops were selling paper cut-out models of four buildings from the Fairytale Forest. 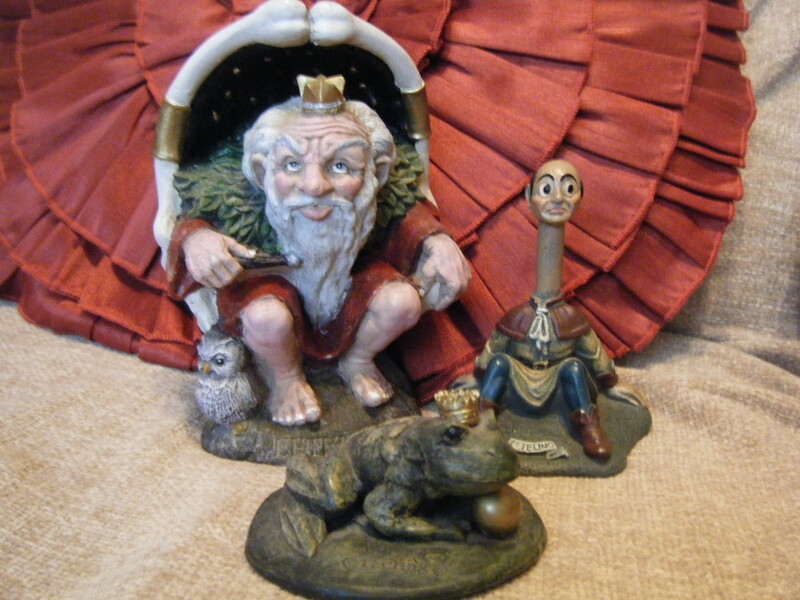 From these you could assemble replicas of Hans & Grietje huisje (Hansel & Gretel house), Kabouterhuisje (Gnomes house), Paleis van de Fakir (flying Fakir) and Kasteel van Doornroosje (Sleeping Beauty castle) all to a scale of 1:30. They did not seem to sell well, which was a pity as they could be made up into attractive, colourful models. The castle, in fact, was far more accurate than the ceramic version that is now on sale. I think that the problem was that although they would obviously have appealed to children, these models were probably too difficult for a young child to build. Also, the building instructions were poor, and the fit of some parts could have been better, even though the artwork was very good. Disney had a similar experience when, many years ago, they sold a cut-out model of Cinderella Castle. This proved to be too complicated, and if the builder made a mistake the model could easily be ruined. It was quickly withdrawn from sale, and surviving copies are expensive. 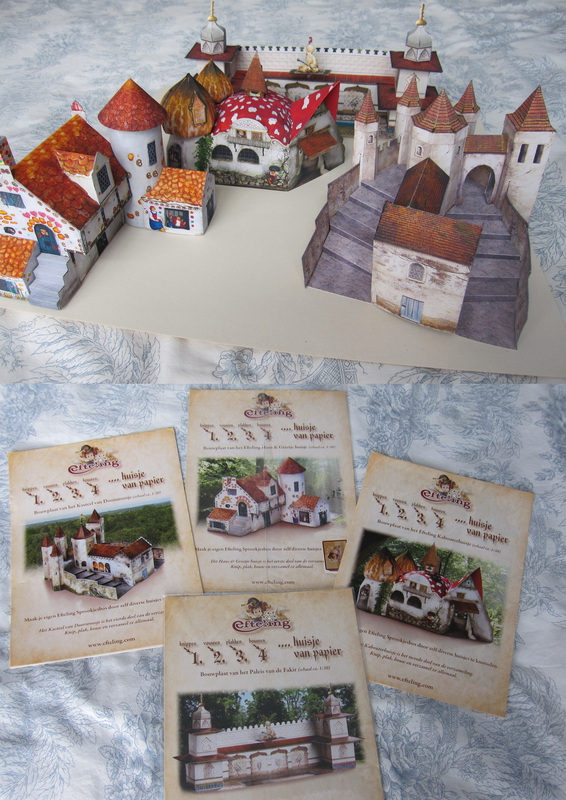 I still think that there is room for some well designed paper models of Efteling landmarks. Think of a large paper model of the Fata Morgana building, or Villa Volta or (more difficult) the House of the Five Senses. Some of the Disney fan websites have made available for download some wonderful paper models of Disney castles and park attractions. Surely there is a graphic artist out there somewhere who could do something similar for Efteling? With thanks to David. H.
Rok CD from 1998 Opening. Originally produced for the opening of Rok in 1998, this CD comes complete with a yellow feather! Yes the last track is called that! It is the shriek of the bird himself! …In Breda’s Barones shopping centre to be exact. 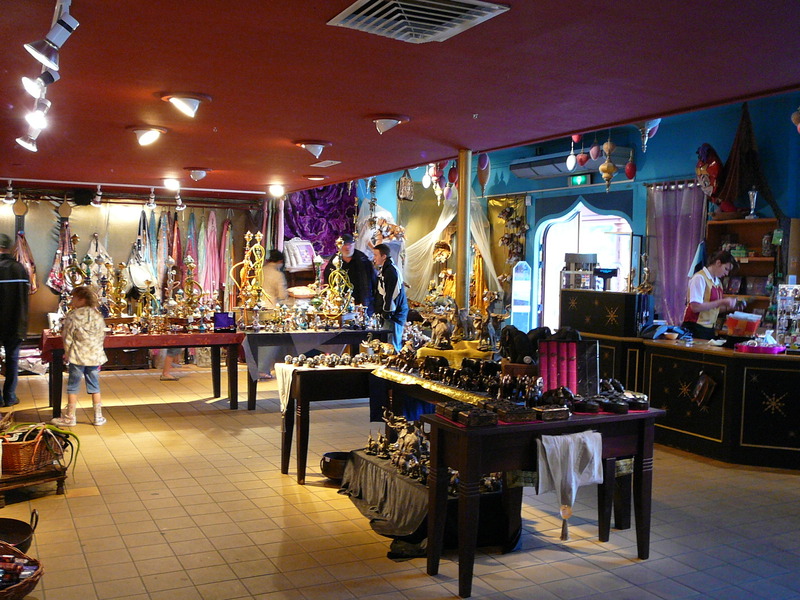 The definition of a ‘pop-up’ store is a temporary store, but I suppose you never know what may happen in the future! The store is open March 29th-April 21st. 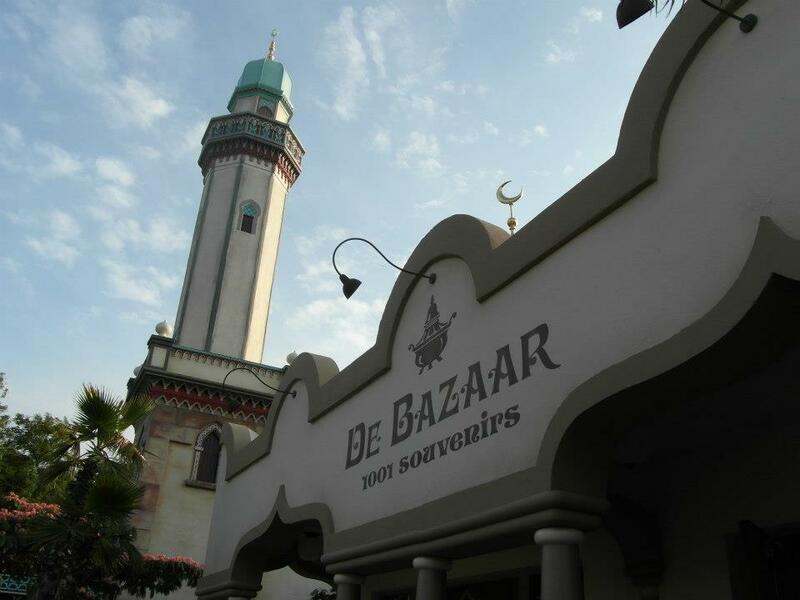 So if you are in or around Breda, be sure to check it out! 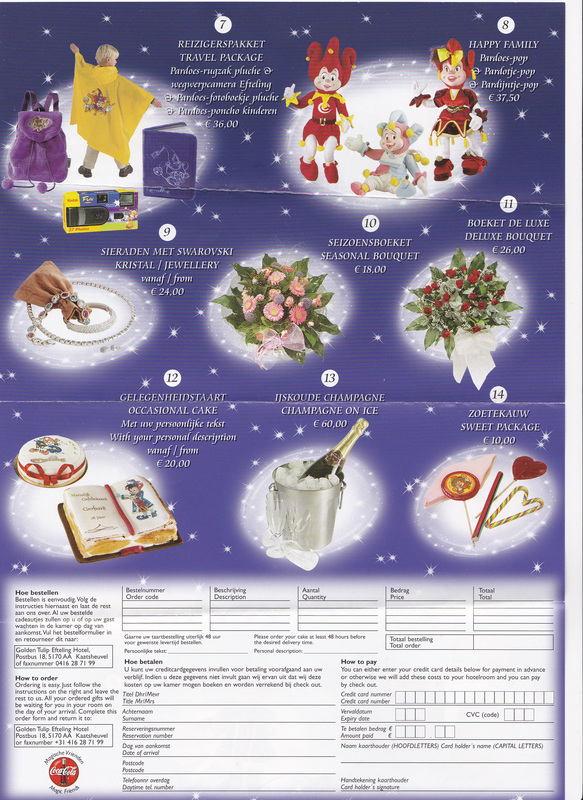 If you are a customer of the Efteling Webshop and you live in the U.K, you will be familiar with the shipping costs being 12.99€ for any item that you have delivered, whether it be a pin or a garden ornament. Today, however, we have just noticed that the shipping costs have been reduced to 6.99€! Happy days. You still get free delivery in the Netherlands and Belgium if you spend over 35.00€ too. Needless to say, we have a package on the way! 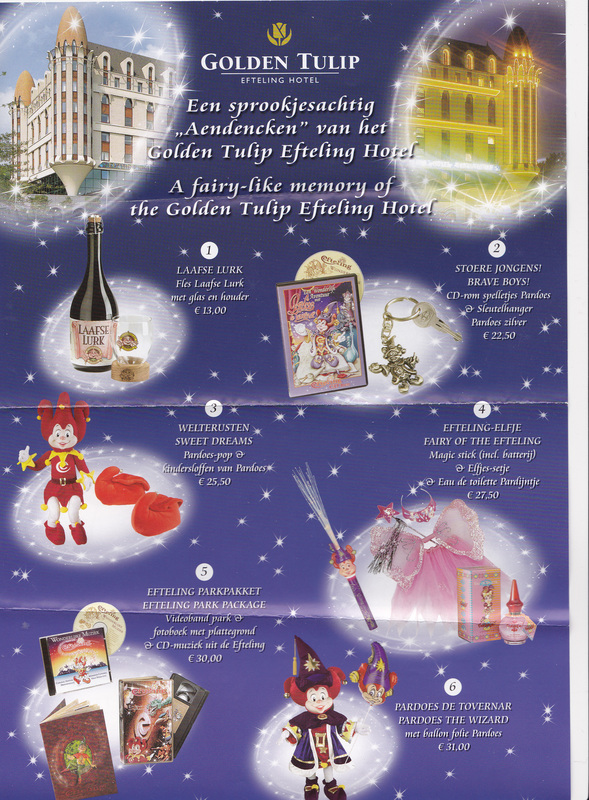 As a side note, the new items in the Efteling Webshop include some lovely watches in a variety of colours, as well as fairy tale shampoo and shower gel.